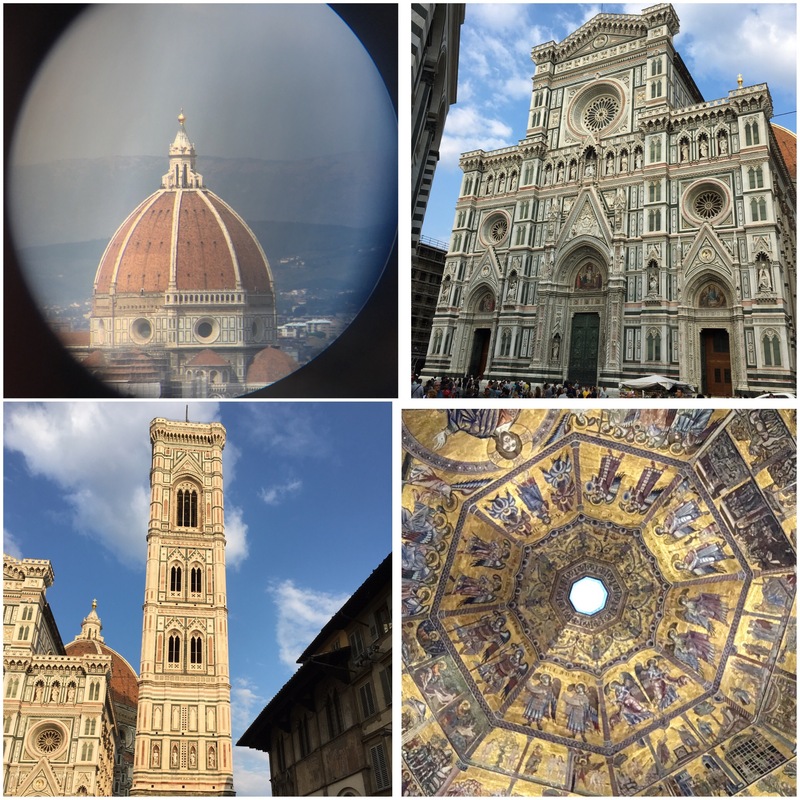 Our trip to Italy was focused on visiting Florence. My wife and I are celebrating our fifth wedding anniversary. We do something a little special every year, go through the alphabet each year. For example, our honeymoon we went to A-Aruba; B-Boston; C-Castries, St. Lucia; D-Dahlonega, GA; E-Emeryville, CA; F-Florence, Italy. We make up the rules as we go to fit our need on if it’s a city or state/country that is the next letter in the alphabet. 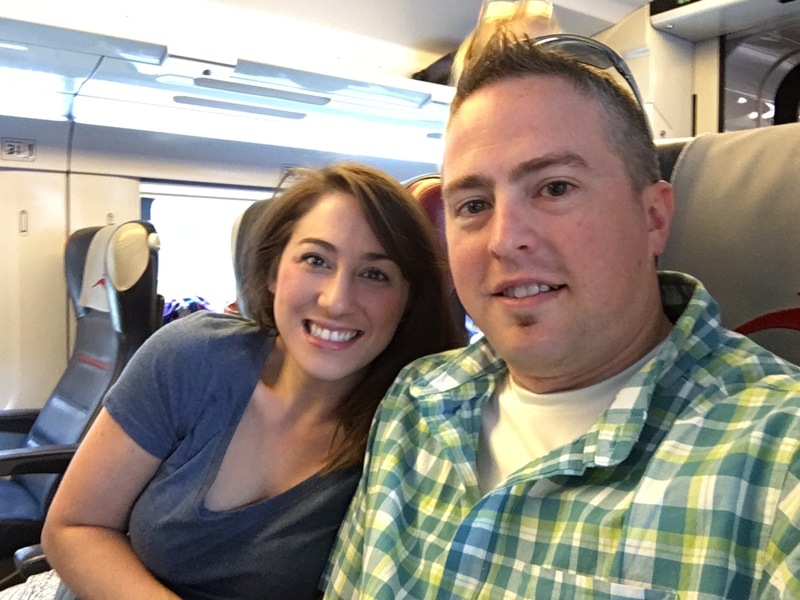 We boarded the high speed train from Rome up to Florence to speed four nights there soaking up all there is to offer. For us when we bought our train tickets it was only a €4 difference for first class so we splurged! Once in Florence we had to go straight to the Cattedrale di Santa Maria del Fiore (Cathedral of Saint Mary of the Flowers). 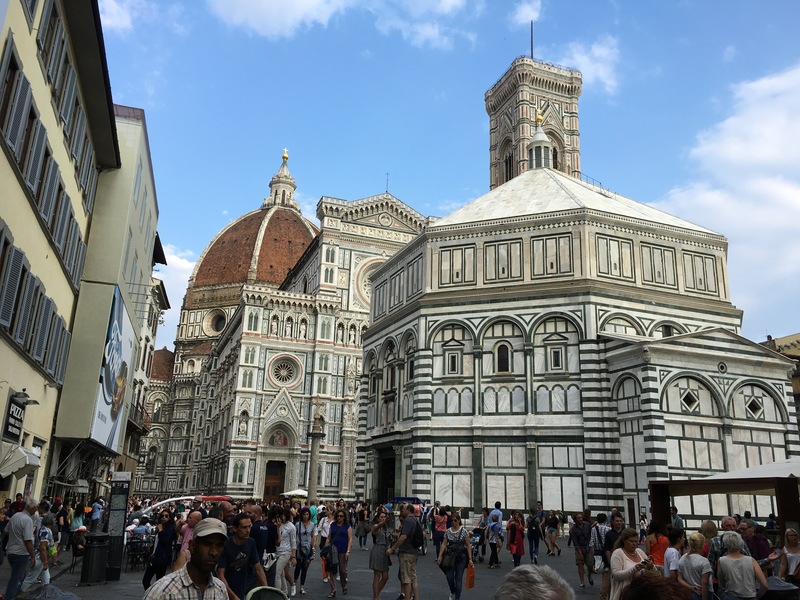 The Duomo, is the main tourist attraction of Florence and well worth the visit. In the foreground of the above photo is the Baptistry with the Duomo in the background with the tan/red brick dome. So much history in this city of Florence along the Arono River. We took a guided tour of the Duomo with skip the line passes, unless you want to get there before 7:45AM and wait a few hours until they open, it is worth the price of the tour. We were able to hear the history of the town and basilica through the guide. How the original doors of the baptistery are bronze (now in museum to help preserve). The dome is the largest brick dome ever contructed to this day but not the largest dome. Florence has so much history and culture but this is enjoy to write for one day but make sure you plan to stay there multiple days. I love the idea of planning an alphabetical anniversary trip each year! Such a great idea! !